Who knew allergies could be beautiful?! 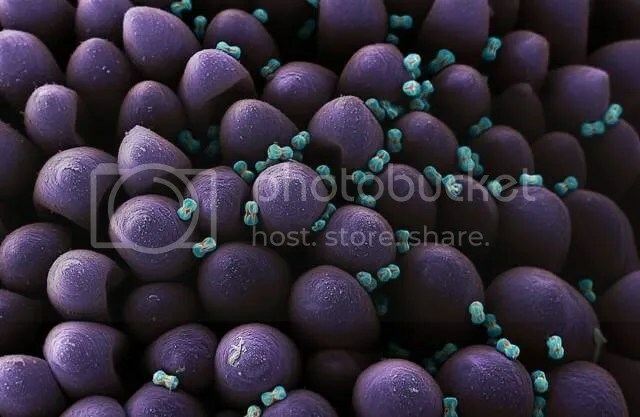 Swiss photographer Martin Oeggerli took ultra-microscopic pictures using a device called a scanning-electron microscope (SEM) these photos are stunningly and even frighteningly beautiful. I especially loved the uniqueness of the pollen from each different species. Ugh, we’re fine here, just a little soggy. I hope you haven’t been washed away. Those photos on the news where just unbelievable. Hope it wasn’t that bad for you! Hi Gail, we fine! Only a bit soggy! I hope you weren’t flooded. Those picture of bellevue and hwy 100 was frightening. Yeek! Thahks for stopping by. PS Pollen photos are fascinanting, some have little velcro like hooks on them! Wow, Lzyjo, what a breathtaking shot! who’d’a thunk?!! With family in Nashville, we’ve been hanging on the news reports, too. Glad you’re soggy and not swamped!!! It’s like a secret world! No wonder honey from different flowers tastes different. Hope your family didn’t get anything bad. The news footage is just unbelievable. Blame it on the army corps! I never would have taken pollen for purple! I know! I thought all that dusty stuff looked the same! Thanks for stopping by. I liked this content/ article. I would certainly recommend the same to others as well.